Laura Ramsey in 'Hindsight'. 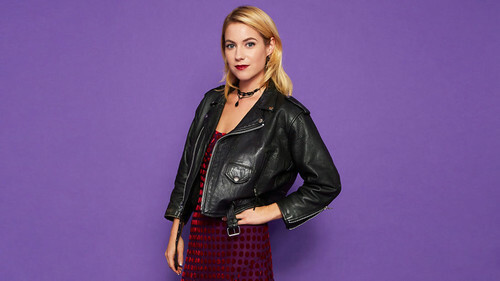 Laura Ramsey as Becca in a promotional 사진 for Season 1 of Hindsight.. HD Wallpaper and background images in the 로라 램지 club tagged: hindsight season 1 2015 promotional photoshoot portrait laura ramsey becca. This 로라 램지 photo might contain 잘 입고 사람, 정장, 바지 정장, 잘 차려 입은 사람, 양복, pantsuit, hip boot, thigh boot, overgarment, 겉옷, 외투, and 겉 옷.